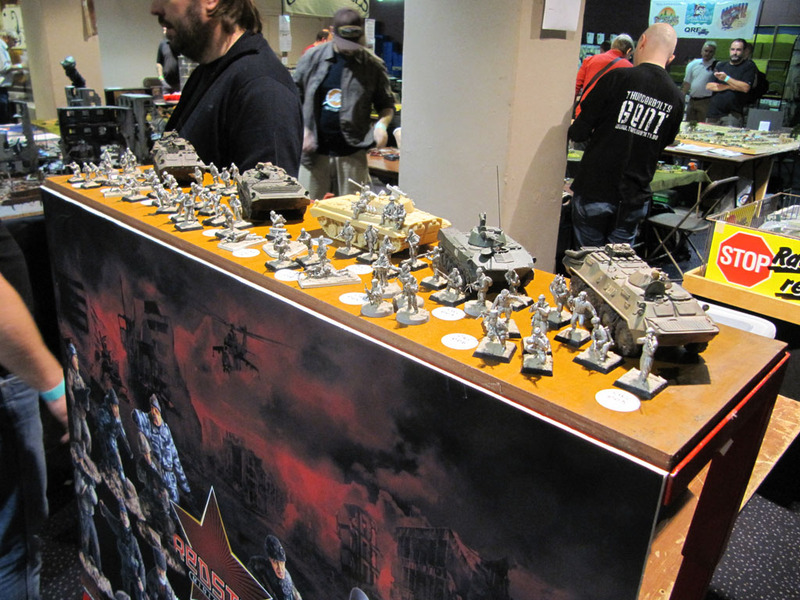 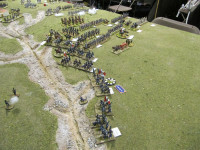 In 2011 i visited for the first time the Crisis, the largest wargaming event on the european continent. 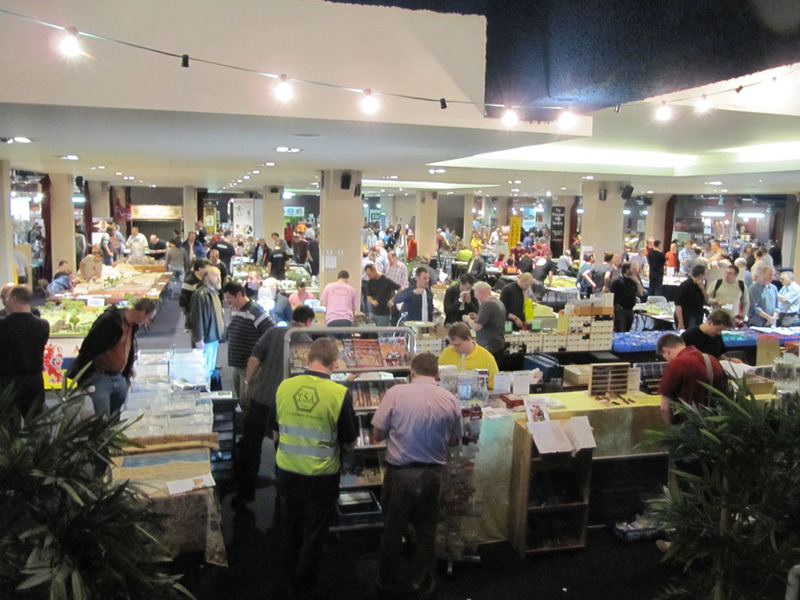 As a regular visitor to Antwerp, i went for the whole weekend - the city is worth it! 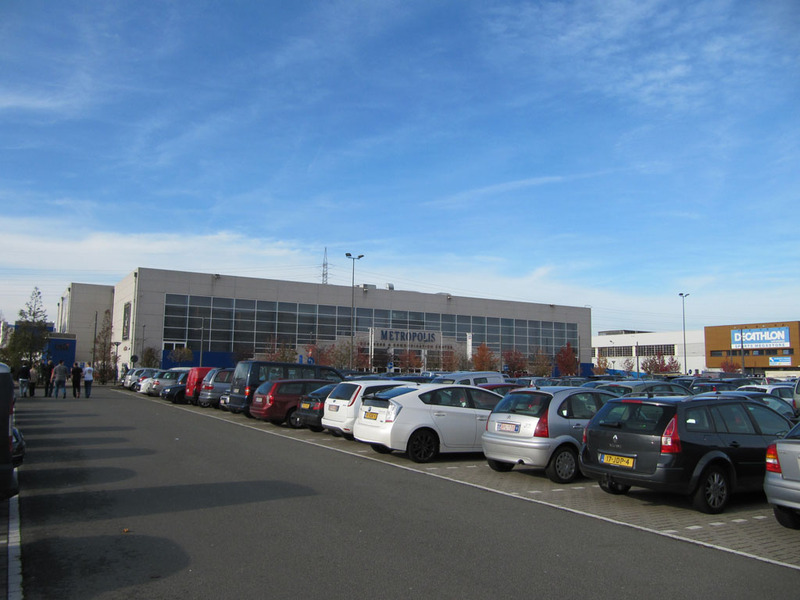 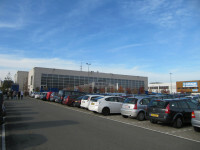 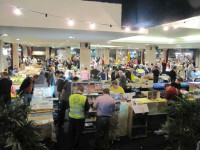 After a good 3 hours ride in the morning, we arrived at the Metropolis Centrum in Antwerp, and found a busy parking lot and already a rather long queue in front of the fair centre. 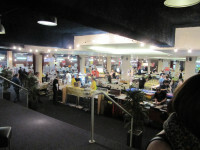 It took only a few minutes to get inside, and i could get my first glance at the Crisis. 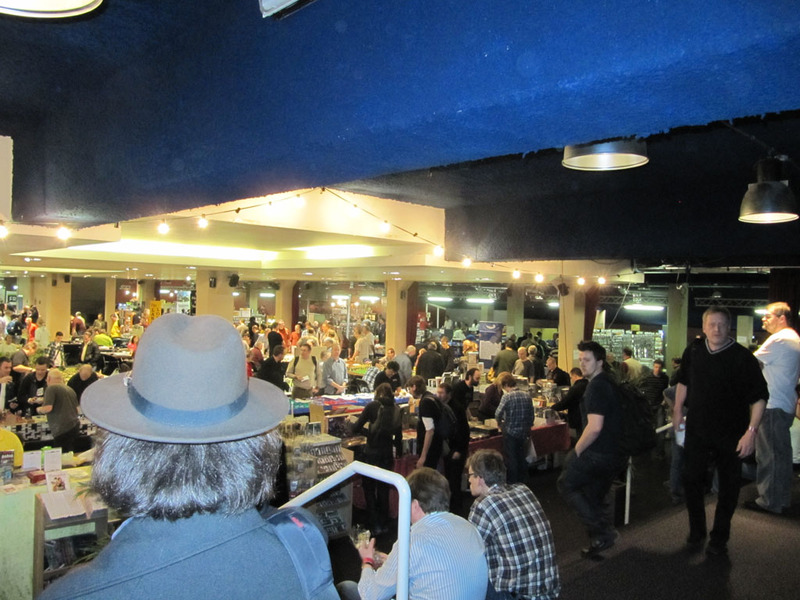 And it really was the first, as i had the idea to pay this Con a visit a few times, but never made it. 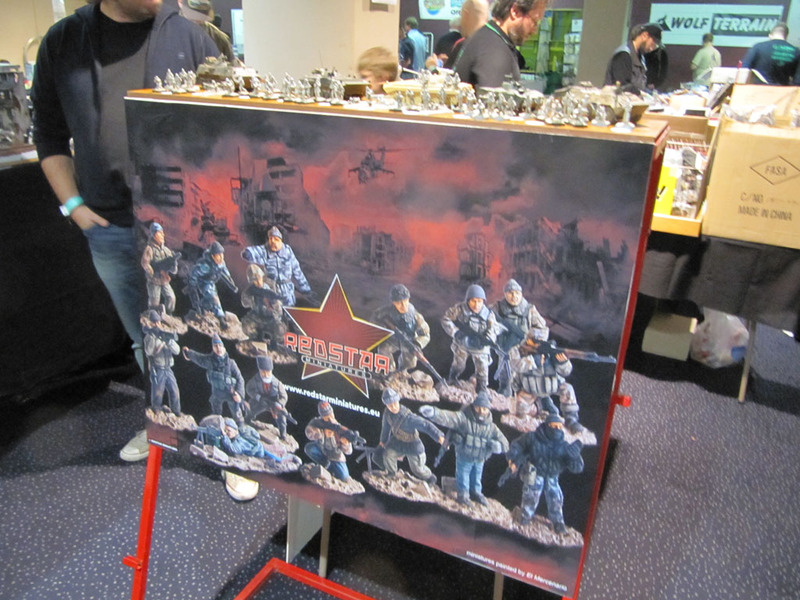 And the first impressoin: Wow! 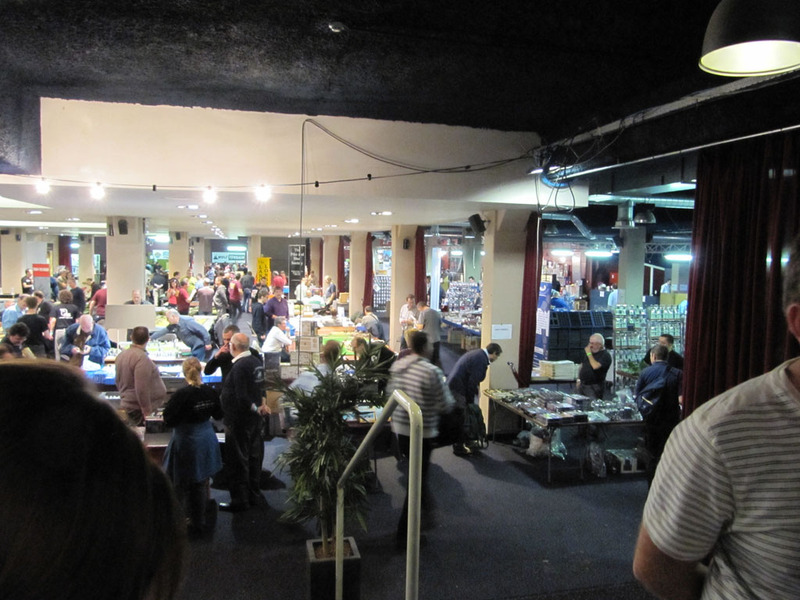 A short view to the right and i recognised, it was even going on around the corner. 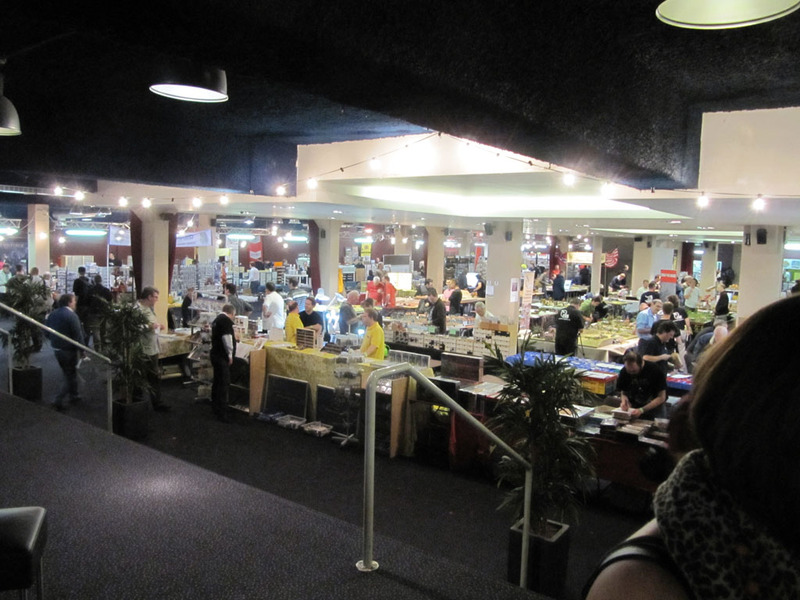 But first straight ahead into the large hall. I met Freebooter Miniatures there, who hosted their lovely demo table. 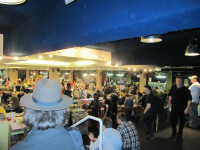 In the smaller next to the big hall, was Studio McVey, with Mike McVey himself! 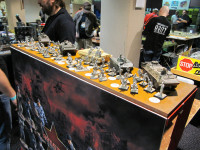 A living legand, who works since the 80s in the miniatures business, he co-founded the 'Eavy Metal Team at Games Workshop and now opened up his studio together with his wife. Beside their own range, they consult other companies with their miniature design. 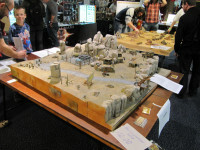 Incredibly nice people, great miniatures, in such a way that even my better-half had to had one of their fine resin cast and so Seraphine Le Roux was added to the buying list. On top of that i got a Sedition Wars Gaming Poster. 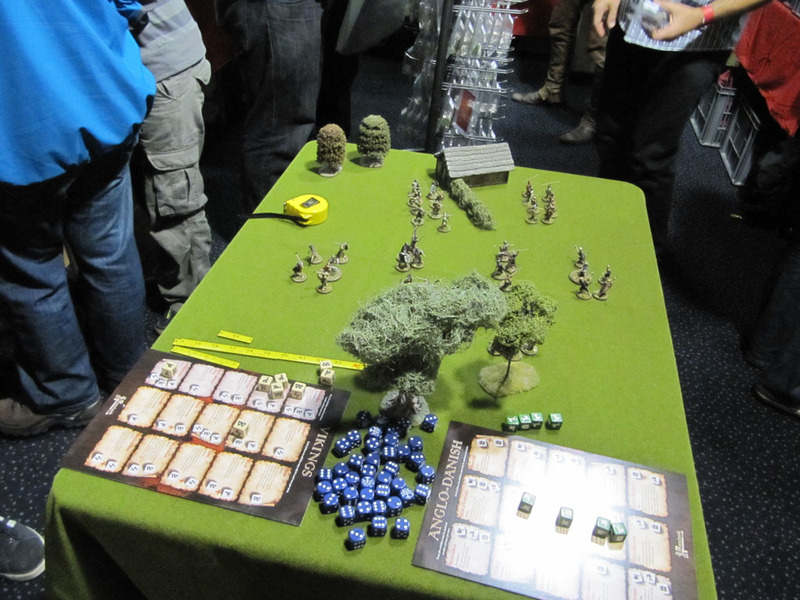 Back in the Big Hall, we had a chance to take a first impression on Saga, the upcoming "block buster" by Gripping Beast and Studio Tomahawk. 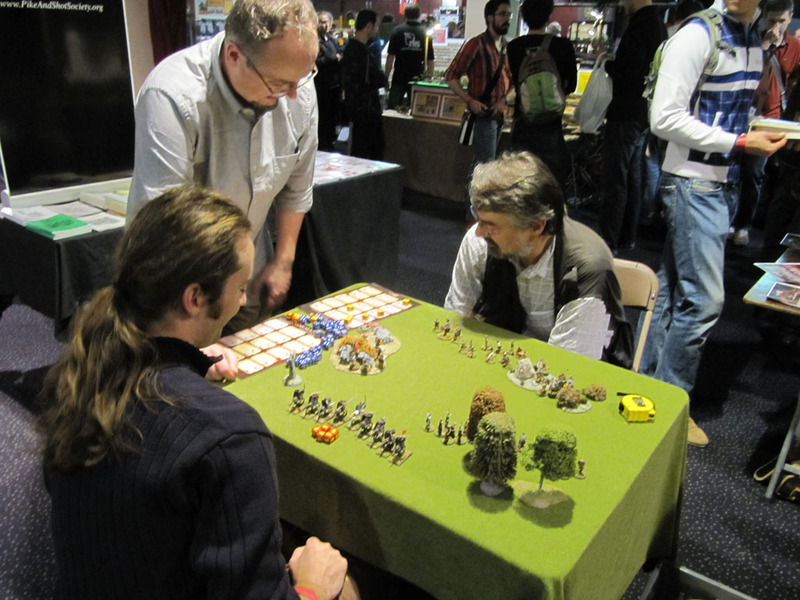 Back then, nobody knew that their viking skirmish would be such a success. 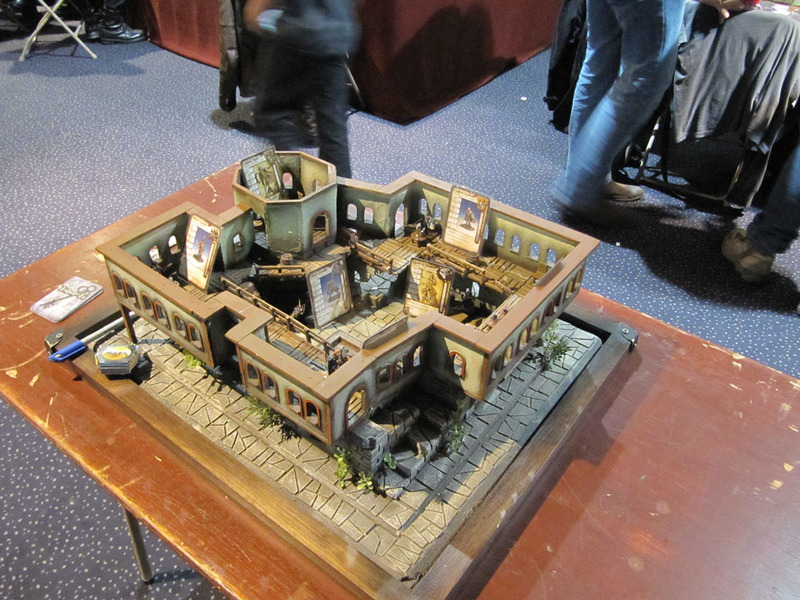 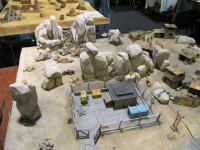 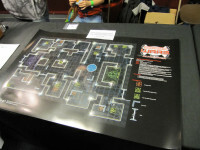 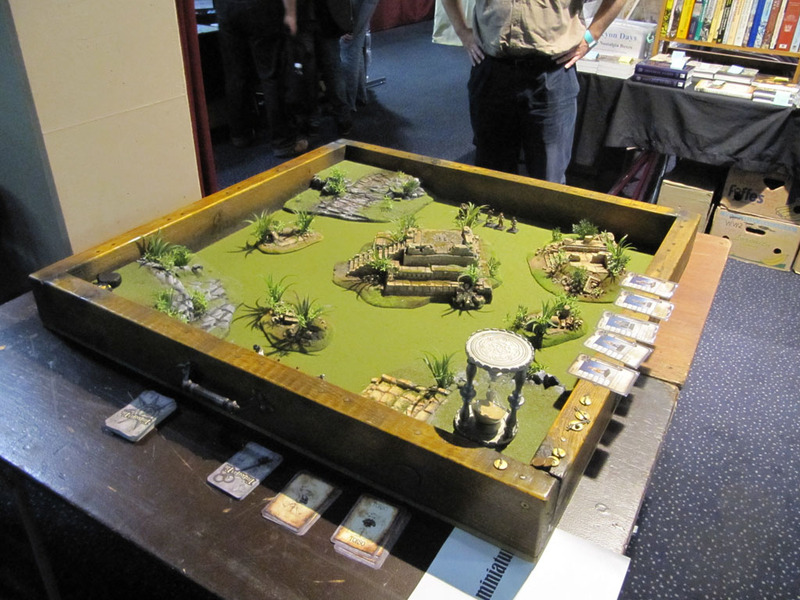 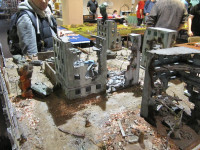 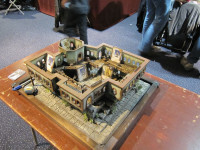 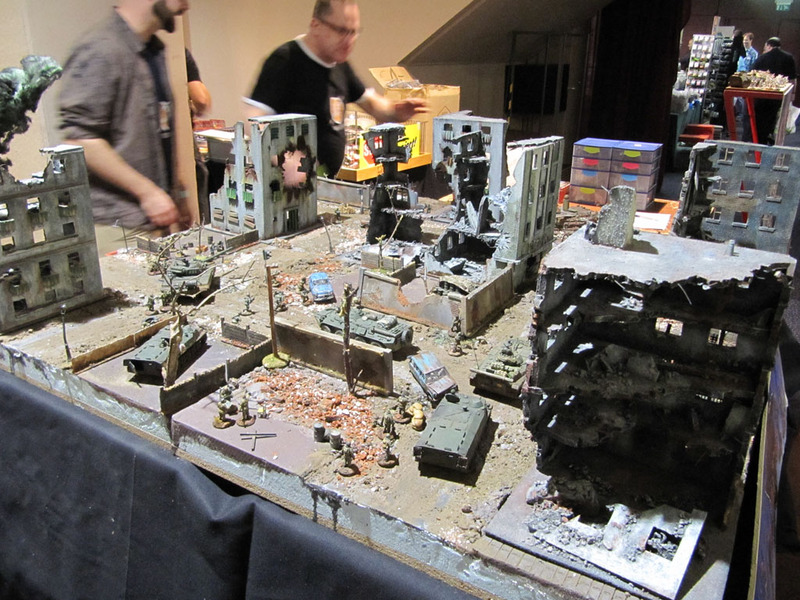 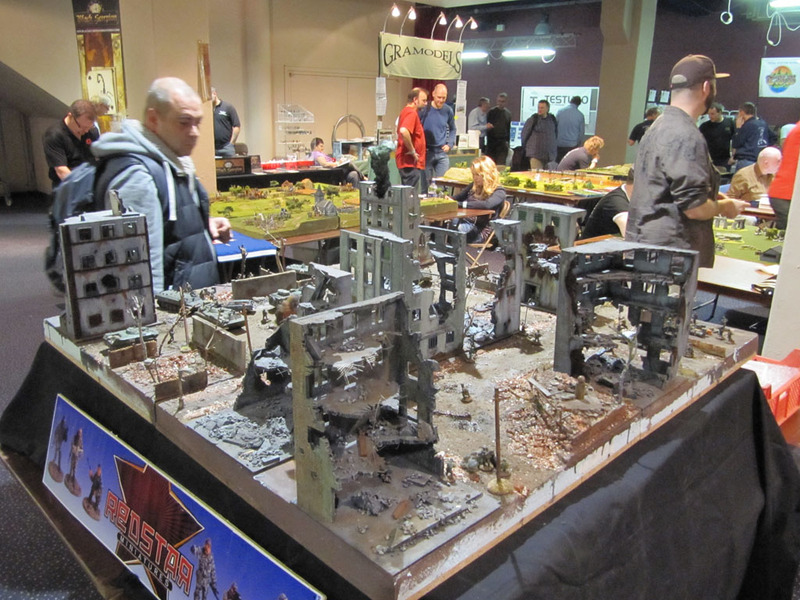 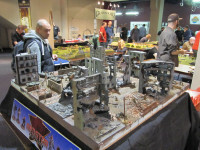 Quite interesting was the battle worn gaming table by Red Star Miniatures, that covered the chechen-russian conflict. At this point a big thanks to Willie and the Tinsoldiers of Antwerp for the invitation and being a great host to this amazing event. In the center of the hall there were a couple of clubs and manufacturers who hosted participation rounds. 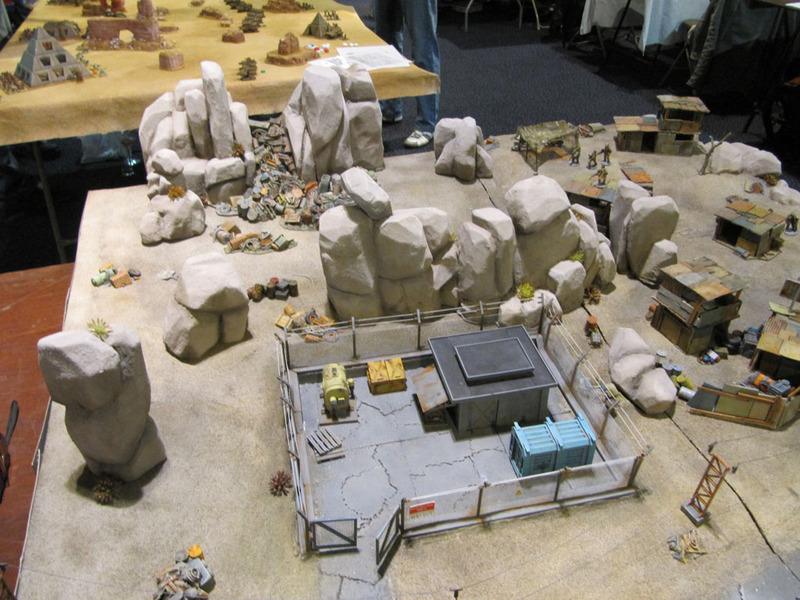 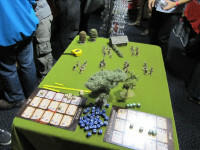 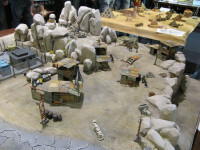 Pardulon and Lead Adventure Miniatures showed off with their ranges of terrain and miniatures. 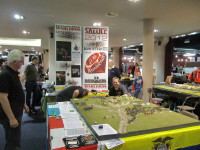 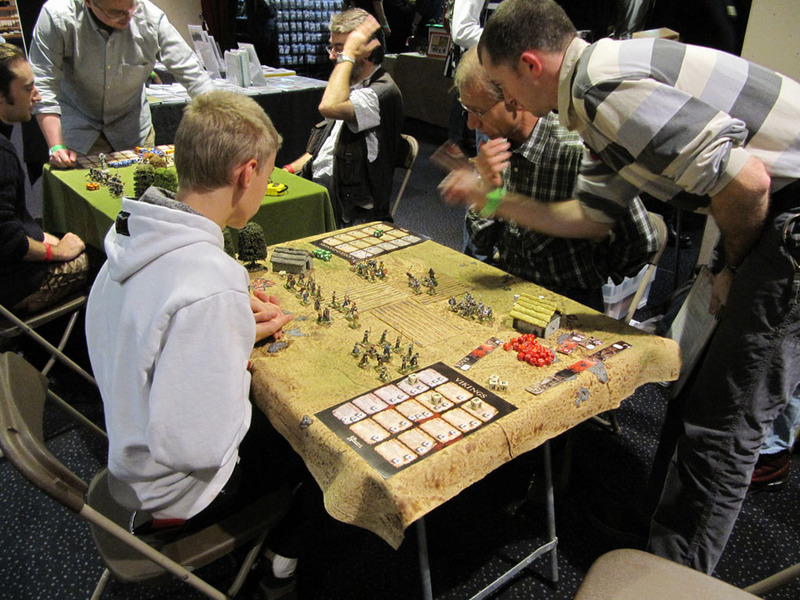 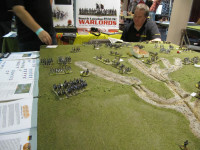 The South London Warlords, hosts of the biggest wargaming event in europe - the Salute, were there as well.